Mobility scooters are prized for the level of independence they offer their user, and they can be transported relatively easily themselves. If you’re looking for a mobility scooter that can be easily stored in a car, there are several things you need to think about. Weight is always going to be an important concern when you’re buying a mobility scooter – it’s generally a trade-off between lower weight and higher power. If you’re looking to transport your mobility scooter via car on a regular basis, it makes sense to lean towards low weight. 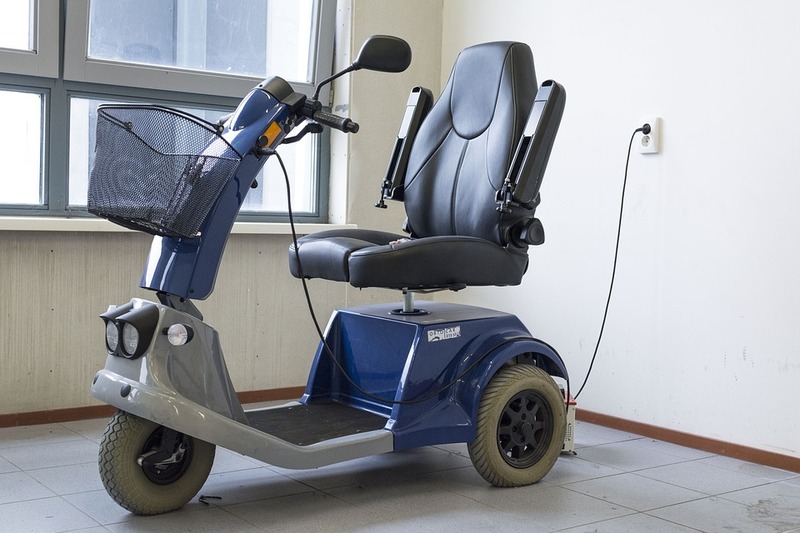 A lighter mobility scooter will be far easier to manoeuvre in and out of the vehicle, and it won’t affect efficiency and driving dynamics in the same way a heavier scooter would. The most portable mobility scooters tend to come in between 250 lbs. and 350 lbs. Foldable mobility scooters might sound a little unreliable, but they’re perfectly strong and solid once put together. They’re also ideal if you want your scooter to be as portable as possible. Instead of having to argue one large section into your vehicle, you can break it down into 4 or 5 pieces – they can even be slipped into the boot of a sedan, so you won’t even need to upgrade to a larger vehicle. When portability is your main issue, look for mobility scooters that break down into just a few pieces – they will be much easier to put back together again. Pavement mobility scooters make up to 4 mph, while road mobility scooters make up to 8 mph. Users are often tempted by the higher speed of a road scooter, but you should really stick to a lower speed if portability is your top priority. For starters, being able to easily take your scooter in the car reduces the need for a road model. Additionally, higher speeds require larger batteries, so road mobility scooters will almost always be significantly heavier than pavement mobility scooters.